Rides * Games * Cake Walk * Bake Sale * Haunted House * Teacher Lunch Auction * Tricks and Treats! A $25 Wristband includes 5 free tickets plus unlimited access to games, inflatables, rides, an obstacle course and the haunted house. Additional tickets can be purchased for $1 each. Tickets are required for food, drinks, confetti eggs and getting friends in and out of jail. Wrecking Ball, Virtual Reality, Airborne, Hair Spray, and Haunted House. FALL FEST VOLUNTEER LINK We will need everyone’s help to make this a success! If you have any questions, please contact our Fall Festival Chairs Veronica Gompers, Lydia Holland or Julia Rigdon. Pumpkin Decorating Contest: Get Your Pumpkins Ready!!! There will be a 1st, 2nd, and 3rd place prize given to the decorated pumpkins in each category. 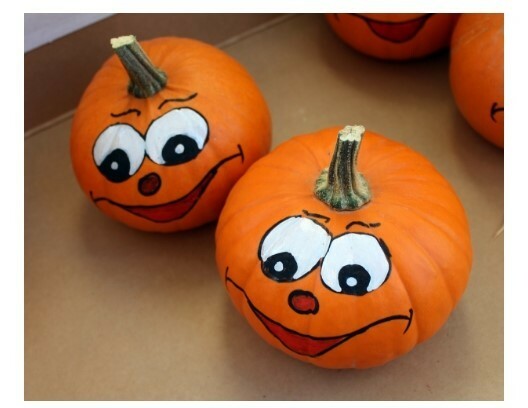 Please pick up decorated pumpkins Friday afternoon before the Fall Festival. If you have any questions, please contact Lydia Holland. CALLING ALL DADS! During the afternoons and nights leading up to the Fall Festival, we need volunteers to build and assemble the Dad’s Club Haunted House. This is a kid fave, so please lend a hand. We will also need some “Scary” people to work in the Haunted House during the festival. Sign up on the HAUNTED HOUSE BUILD LINK. Friday, Oct 26: 2pm-Final prep, walk-through, 3 PM – Showtime. 5:30 PM teardown, load up truck to return supplies. If you have any questions, please contact Julia Rigdon.